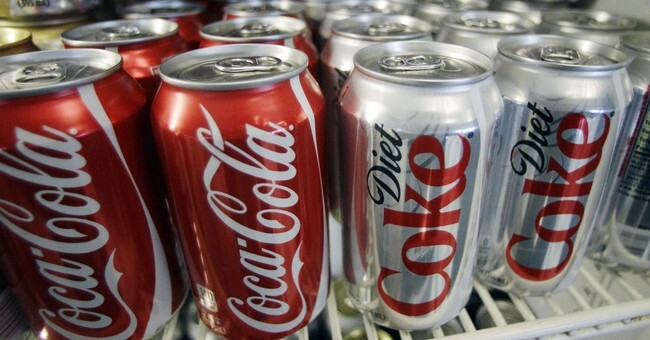 For all the caffeine and Coke addicts out there, there are reports that the Coca-Cola Company is "in talks" with a Canadian producer to infuse its beverages with a new ingredient. According to Reuters, Coke is considering infusing its drinks with cannabis. The Canada-based company Aurora Cannabis would help produce the cannabidiol (CBD) that would go in the beverage. The rumored purpose for creating the infused drinks would be to help Coca-Cola drinkers with health issues like "inflammation, pain, and cramping." In a separate statement, Aurora Cannabis told Reuters it would not discuss its "business development initiatives." However, the company did reiterate its desire, and intention, to enter the business of infusing beverages with CBD. The article also notes a key detail reported by BNN Bloomberg: "There is no guarantee that talks between the companies will be successful or that a commercial agreement would be made public." While Canada is set to legalize marijuana next month, the U.S., at the federal level and state level, is still debating marijuana and CBD laws. Regarding CBD, Medium explains that its legality in the U.S. depends on state law, which focuses on where CBD's derived from, hemp or marijuana. Though hemp and marijuana are both a part of the cannabis family, Medium notes that CBD that is hemp-derived is legal in all 50 states because it doesn't have psychoactive effects on users, as the Tetrahydrocannabinol (THC) levels are so low (.3 percent THC or less). However, state laws on CBD derived from marijuana vary as there are different regulations on THC levels. In some states, like Colorado and Washington, marijuana and CBD are legal for all purposes. Due to different states having different marijuana laws on the books, if Coke and Aurora Cannabis were to strike a deal, and depending on where the companies decide to derive their CBD, Coke will have to navigate U.S. law to understand where it can and can't sell its infused beverages. So, will people be saying hello to Coca-Cannabis-Cola soon? Time will tell.